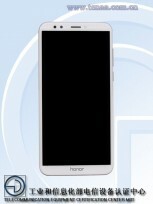 Another Huawei midranger, most likely the Honor 7C, is being prepared for launch after being certified at TENAA. A listing on the Chinese regulatory website revealed most of the smartphone’s specs - octa-core CPU at 1.8 GHz and a dual 13 MP + 20 MP camera. 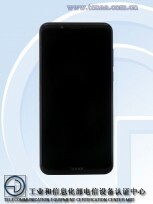 Arriving with 5.99” FullView display, the Honor 7C will have HD+ resolution (1440 x 720 pixels). There are two listings for devices with model numbers LND-TL30 and LND-TL40, the only difference between them is RAM - the phone will have 3 GB or 4 GB. Internal storage is listed as 32 GB, but there will be a microSD slot. 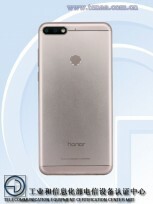 The front panel does not have a home button like some other Honor devices, so the fingerprint scanner made its way to the back. Above the display sits one selfie camera with 8 MP sensor. 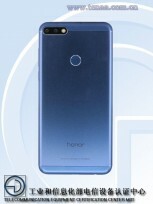 The Honor 7C will run Android Oreo, presumably with EMUI 8.0 and will have a 2,900 mAh battery. 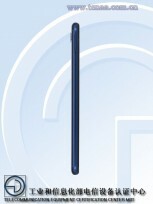 Arriving in Gold, Blue, and Black, the phone measures 158.3 x 76.7 x 7.8 mm with a weight of 164 g. When its predecessor Honor 6C was announced, it cost €229, so the Honor 7C is most likely to be placed in the same ballpark. And at second should also increase battery size having 3000 mAh from 2900 mAh isnt an option.